Here's the hits of the month all wrapped up in one convenient playlist. Listen directly from the player embedded below or head to my 8tracks page to stream this playlist and more. As I was uploading these to 8tracks, I noticed that the theme seems to go from peppy and upbeat to moody and deep. By no means was this intentional, it's just how the music flowed for me this month. Highlighted lyrics/moments include "and baby the birds knew", "and I let my stories be whispered when I am gone", "there's no reasons, no excuses, there's no second hand alibis, just some black ink on some blue lines" and "oh, how pretty is the middle of June." There's something about those bits and pieces ~ maybe the vocals or the meaning ~ that make me smile. Something new to this month's lineup...if there is an artist made video available for the song or a great live version, you can now link to it by clicking on the song title in the playlist. Talk to you soon! Until then, listen well and dance often. 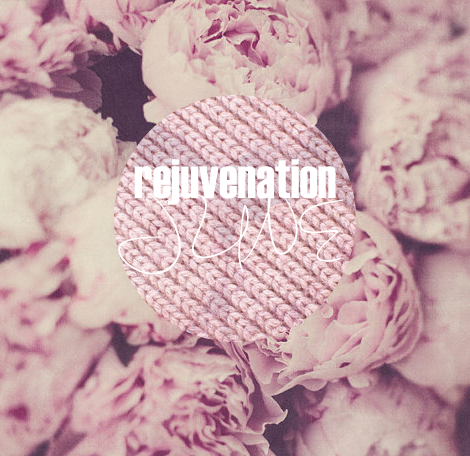 rejuvenation june from joyful_life on 8tracks.